This guide is the third part in the Conrad Maldives Rangakli series and takes a closer look at the Sunset Villa. For our fourth and final night, we moved from our Beach Suite to the Sunset Water Villa. 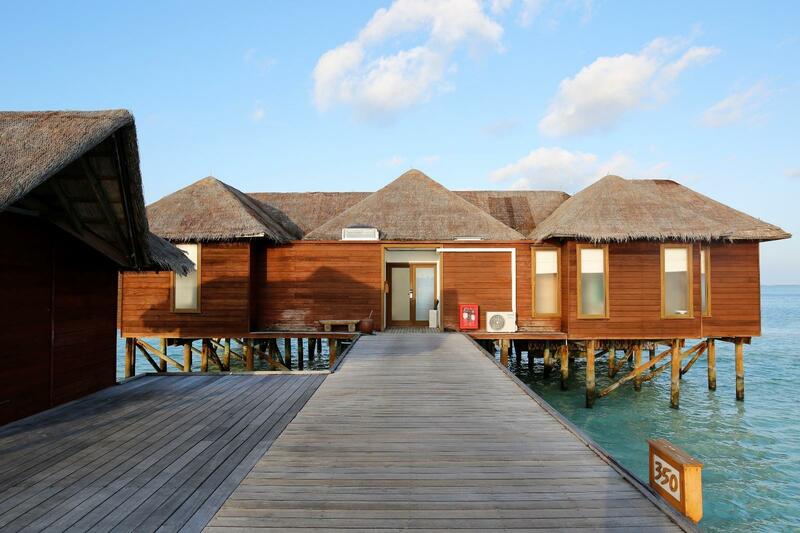 There are a total of 2 Sunset Water Villas in the resort; one next to the other at the far end of the water villa island (Rangali). 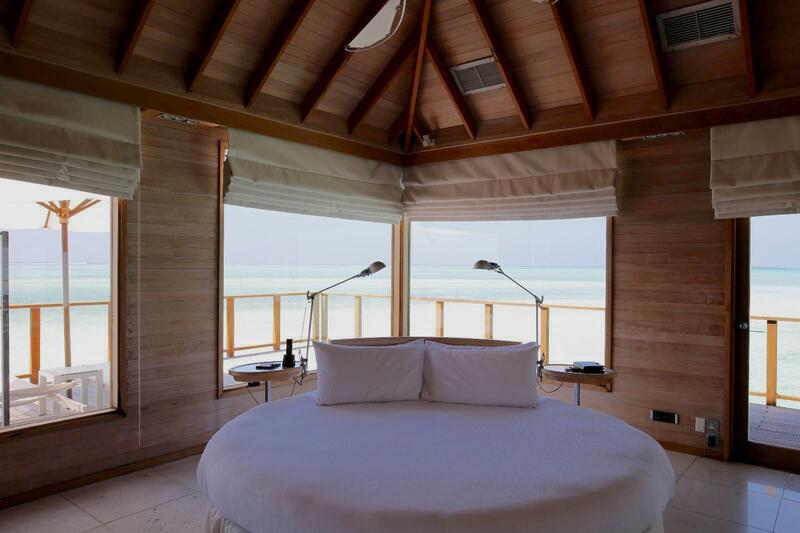 The Sunset Water Villa for a similar date in December 2019 costs USD5,250 per night to book (at the time of writing). Before arriving at the resort, I requested villa #350 as I had read that it is the slightly more private of the two villas. Amazingly, both of my preference requests were given the green light. 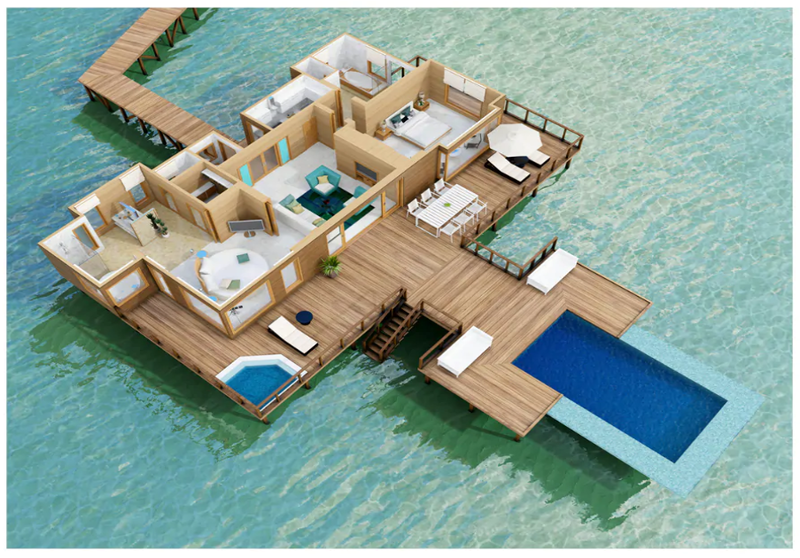 The Sunset Water Villas are 452 square metres in size. 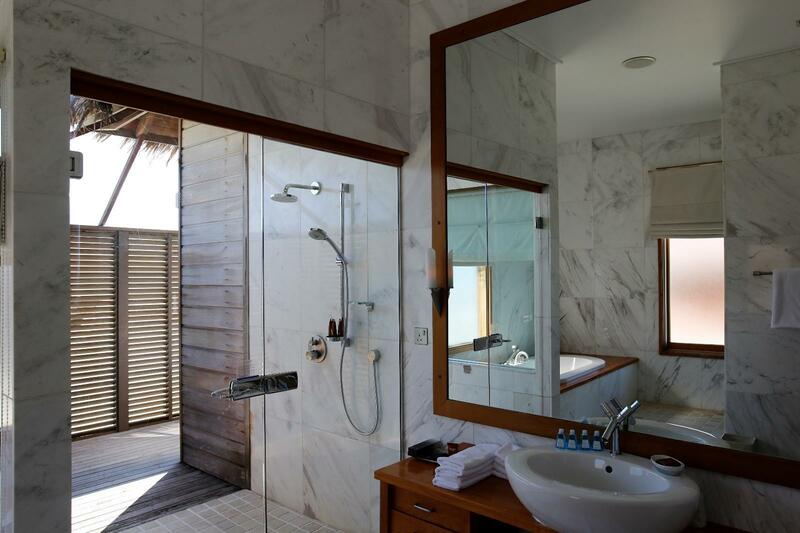 This is the largest over-water villa in the resort; offering two bedrooms, two bathrooms, circular rotating bed, large glass flooring, large infinity pool, whirlpool jacuzzi, personal island host and one large living area. 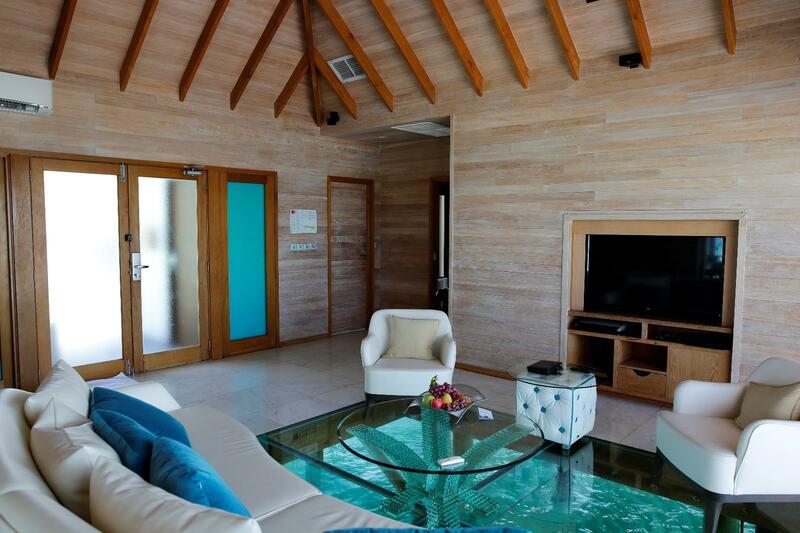 It was surreal walking into the villa and seeing the large glass flooring in the living area. 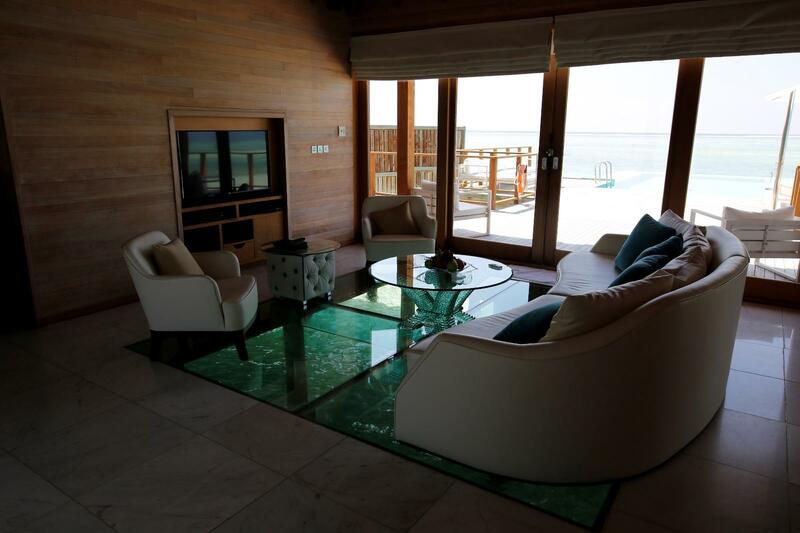 The large glass flooring was one of the distinct features of the villa when we were looking at Youtube videos and Instagram photos of the Sunset Water Villa. Another very iconic feature of this villa is the circular rotating bed. One would often see this bed featured on social media. 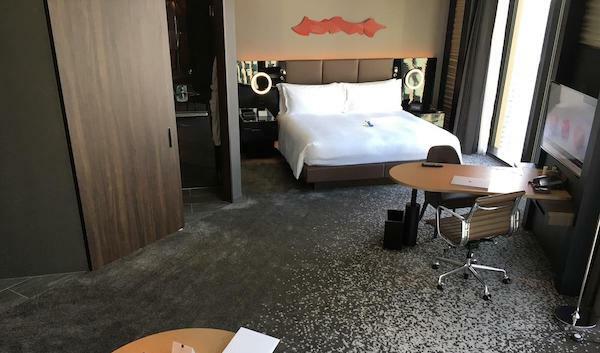 The idea of the rotating bed is that you could choose to wake up to the majestic view of the ocean or face the other direction if you so please. 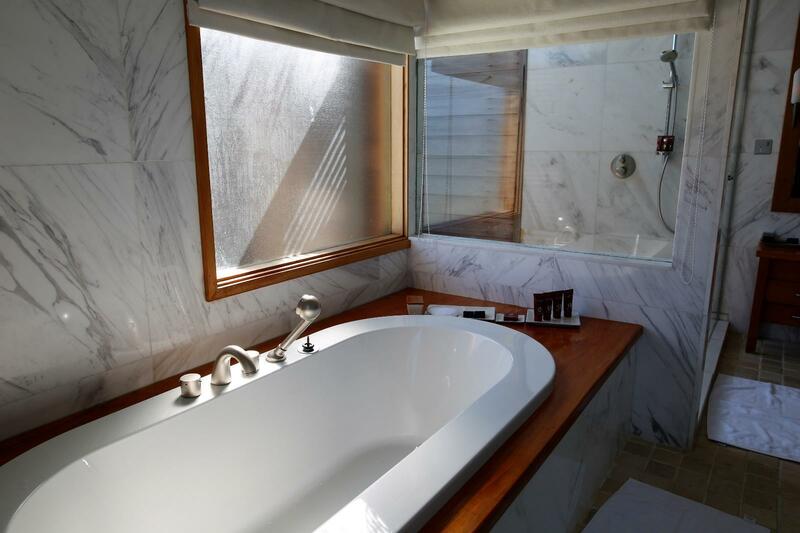 Bedroom #1 has a very glamourous bathroom, which contains a large circular tub and 2 large windows that look out over the ocean. 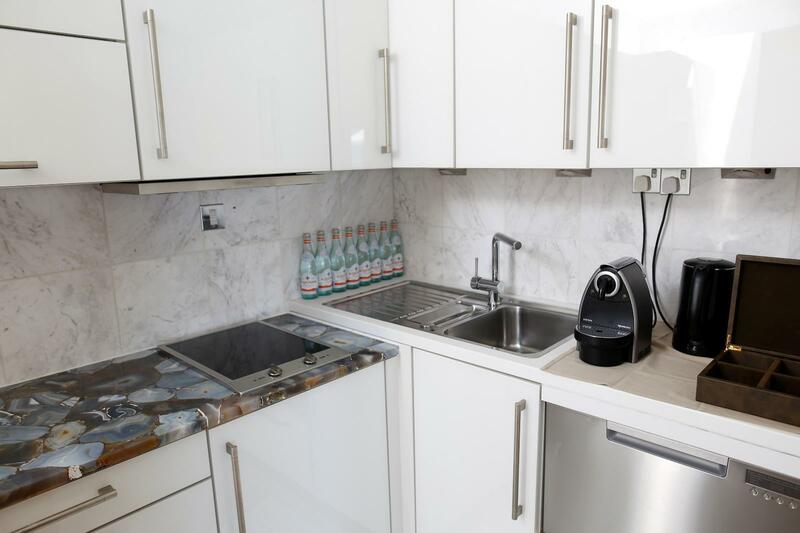 It also contains a separate large rain shower. Bedroom #2 had a more typical arrangement, with a more contemporary style. 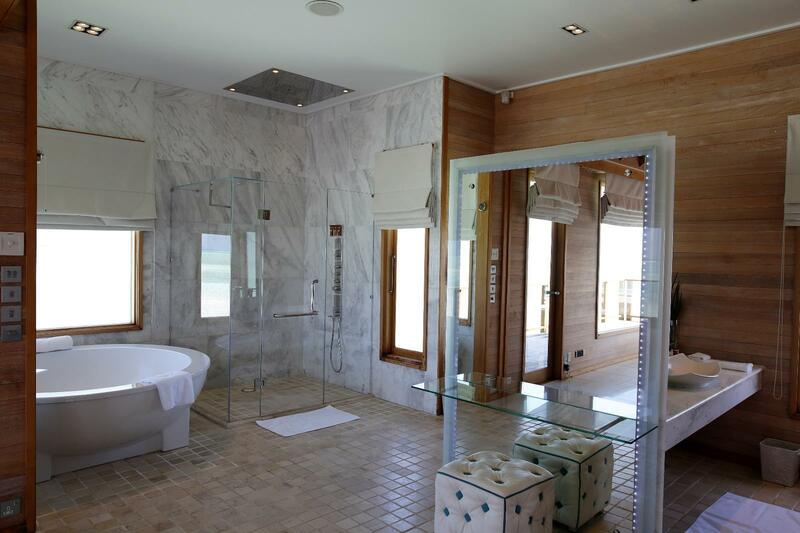 The bathroom contained mostly marble and timber features. The villa contained an outdoor shower, but unfortunately I was unable to get the hot water to work. Given the sea breeze coming through the privacy screen, it began to get quite chilly. I quickly went inside and finished my shower in the bath tub. 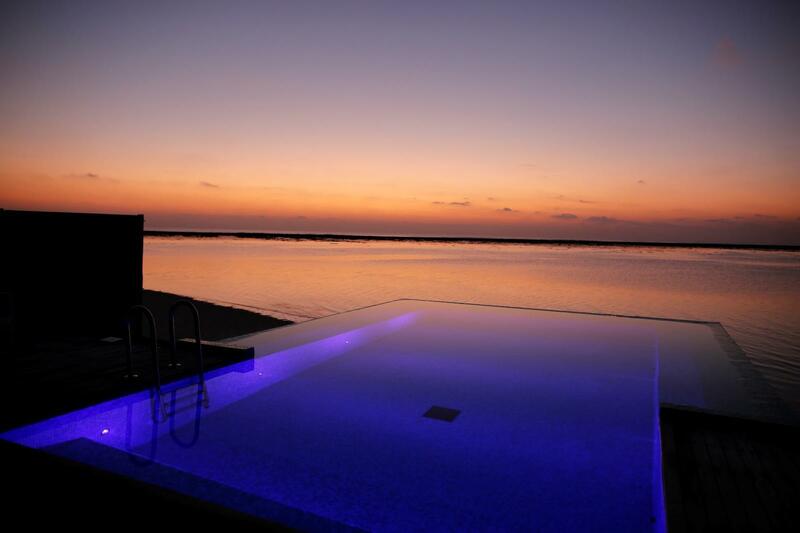 Staying in the Sunset Water Villa is definitely a bucket list item for us. 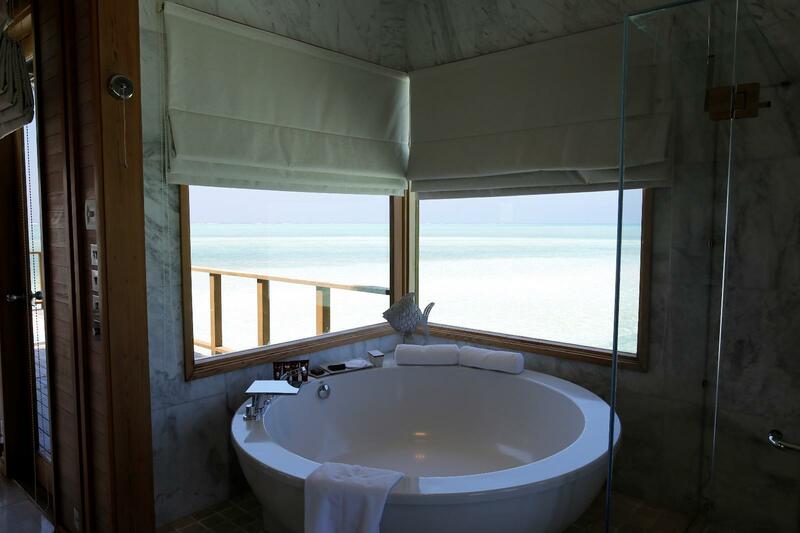 The experience of staying in such a luxurious and spacious overwater villa is extremely memorable. 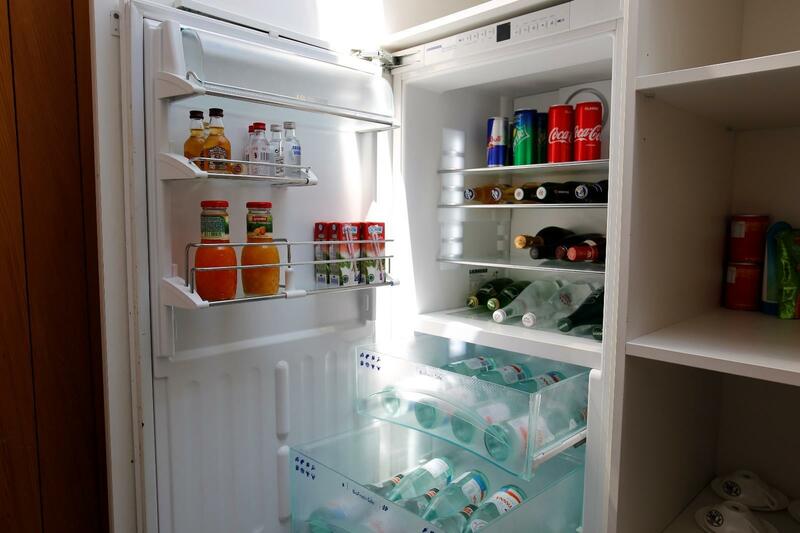 There were short moments during which we imagined that we were leading the lifestyle of celebrities. It was very hard to wipe the smile off our faces during our stay. Despite that, as mentioned in the previous review of the Beach Suite, I would much prefer staying at the Beach Suite if we were fortunate to return to the resort in the future. 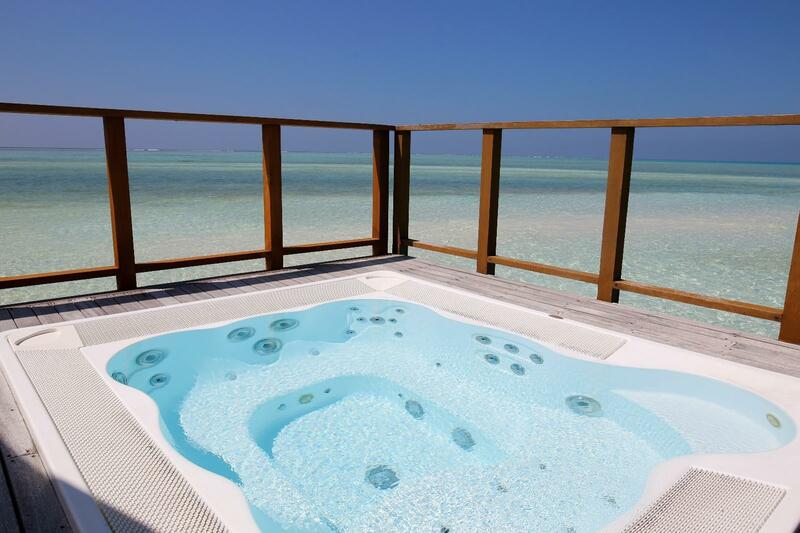 A holiday to the Maldives is usually a once in a lifetime event for most. 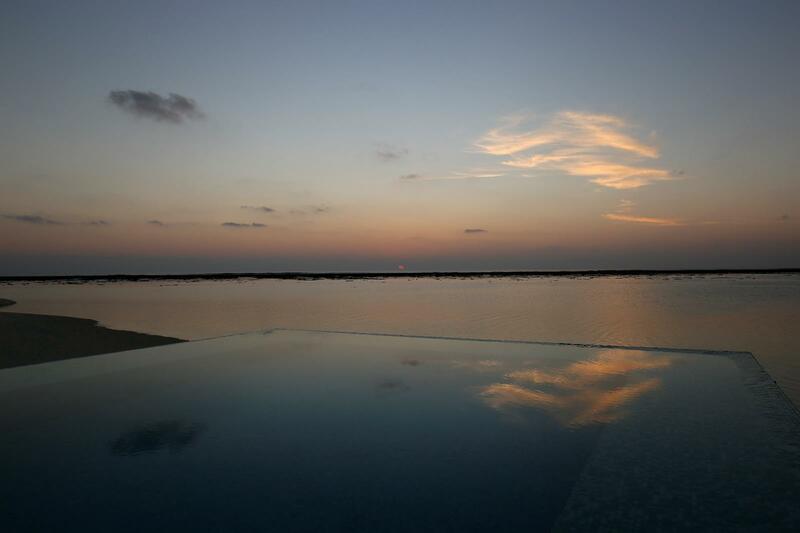 Our stay at Conrad Maldives Rangali is indeed one of the most memorable resort stays to date. The whole experience from staff interaction, dining experience, large range of activities, well-kept environment and the quality of the villas did not disappoint at all. We enjoyed the five nights thoroughly. It is truly a magical destination. Once again, it was Pointhacks that opened up the world of possibilities for us to travel in luxury and comfort. 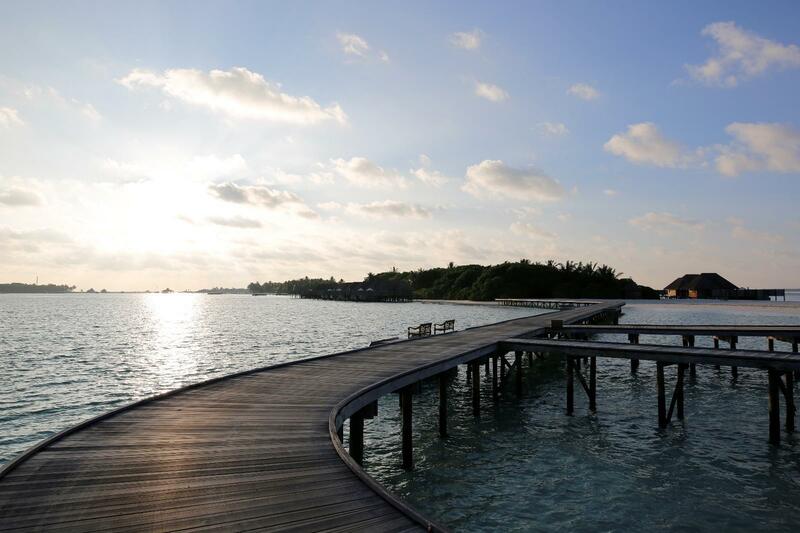 Without having the knowledge of points on our side, the idea of visiting the Maldives would not have crossed our minds. Maybe we will contemplate returning to the Maldives in the near future and try out the new Waldorf Astoria. Overall, I rate the resort a five out of five. 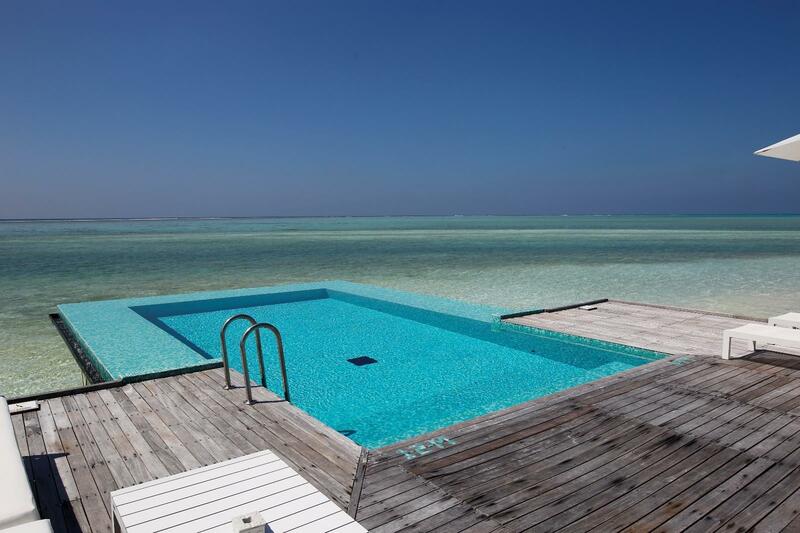 I would highly recommend this resort if you are considering a vacation to the Maldives. 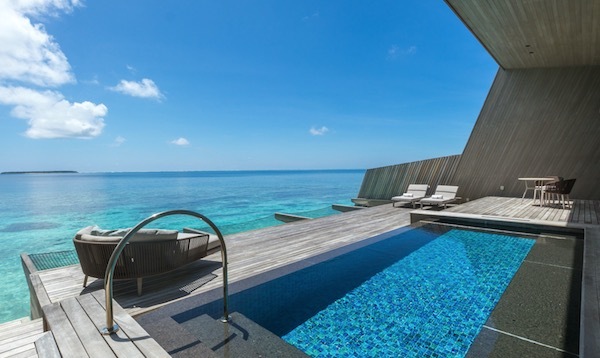 I have mentioned in Part 1 (https://www.pointhacks.com.au/reviews/conrad-maldives-rangali-review-part-1/) that I bought the points when Hilton Honors points go on sale for 0.5 US cents each. 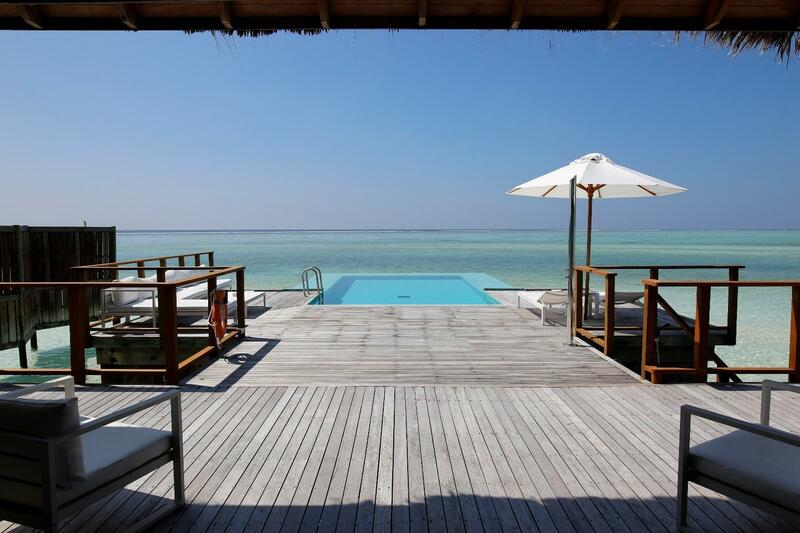 One night in a beach villa or water villa costs US475 or 95000 Hilton points. 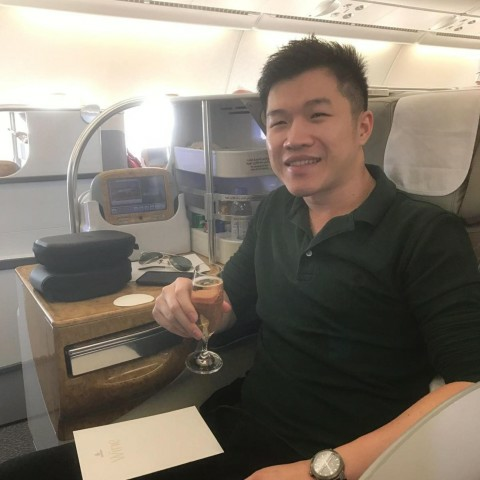 I honestly think the resort or Maldives in general (I can only comment on this resort as I have only stayed once in Maldives) is very, very expensive. I wouldn’t recommend it if you are in saving mode. We spent approximately USD265 per person per day on average (for food and spa). Obviously, you could do Maldives at a budget. There are plenty of deals (some all inclusive) for other resorts. Admitedly, I did not placed a lot of focus and photos on food. But the quality of food is very good. The number of restaurants at the resort is a strong drawcard for me and others. As mentioned in Part 1, the number of restaurants allowed us to not have to repeatedly go to the same restaurant for dinner every night. The most expensive dinner we had was USD250 ++ per person for a beach seafood barbecue. Expensive but we thought it was worth it. There were lobster, alaskan crab, mud crab, prawns, bugs, whole fish, steak, lamb, etc.